Vanessa is a science communicator based in New York, with expertise in social media, online strategy and community engagement. She is the creator, writer and host of BrainCraft, a PBS series exploring psychology, neuroscience and human behaviour. 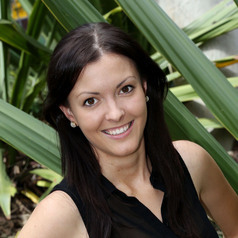 Vanessa has previously worked in science education and outreach with the CSIRO, and has worked as a science reporter for ScienceAlert. She is active on many media platforms, with writing and videos featured in TIME, Huffington Post, Scientific American, Brain Pickings and YouTube Nation. She holds a Bachelor of Science from UNSW and a Masters of Science Communication from ANU.